Dec 17, 2005 in "Holidays at the Magic Kingdom"
LAKE BUENA VISTA, Fla. -- Walt Disney World Resort in Florida invites America to celebrate its 22nd annual Christmas Day Parade telecast from the heart of Magic Kingdom, with special performances from Disneyland Resort in California. America's favorite television and radio personality, Ryan Seacrest, will host the festivities from Disneyland Resort while America's hottest morning talk show duo, Regis Philbin and Kelly Ripa, hosts of Live with Regis and Kelly, co-host in Walt Disney World Resort. For more than two decades, the Walt Disney World Christmas Day Parade has been a family tradition featuring Disney's most cherished characters including: Mickey, Minnie, Pluto, Donald, Daisy, Goofy, Pinocchio, Princesses Cinderella, Snow White, Sleeping Beauty, Belle, Ariel and Jasmine, as well as the Disney Channel's favorite Bear from Bear in the Big Blue House; Stanley; Little Einsteins; The Wiggles; JoJo's Circus and others. The Walt Disney World Christmas Day Parade telecast airs on ABC Christmas Day from 10 a.m. to noon (EST), 9 to 11 a.m. (CST), 8 to 10 a.m. (MST) and 2:30 to 4:30 p.m. (PST). Viewers should check their local listings for any changes in programming times. In addition to featuring charismatic hosts on both coasts and the Brian Setzer Orchestra headlining the show from Walt Disney World Resort, the two-hour parade special will highlight a variety of celebrity appearances and musical performances including: country superstar band Lonestar; acclaimed model, actress and singer Vanessa Williams; The View's Star Jones; Mary Poppins' Julie Andrews; golf champion Tiger Woods; Grammy® award-winning jazz vocalist Diana Krall; R&B singing sensation Fantasia; award-winning actor John O'Hurley, best known for his appearance on ABC's hit show Dancing With The Stars; sister songstresses Aly and AJ; tween pop group The Cheetah Girls; and young stars of Disney's newest movie The Chronicles of Narnia: The Lion, the Witch and the Wardrobe, Anna Popplewell, Georgie Henley, Skandar Keynes and William Moseley. 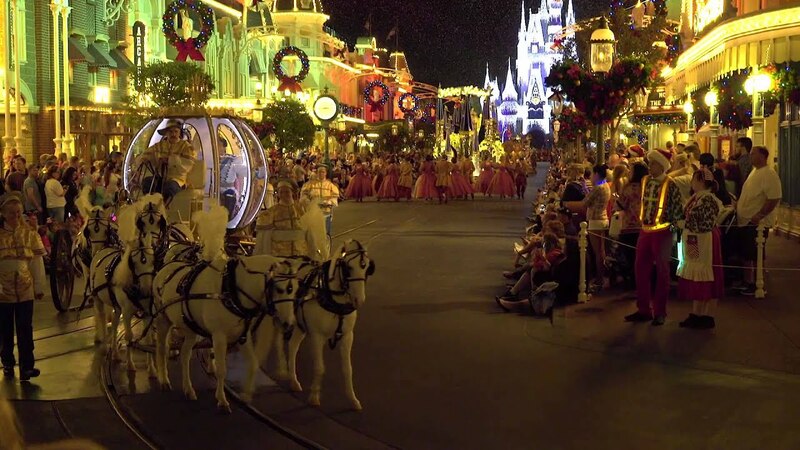 In addition to the parade's impressive list of performers, the 22nd annual Walt Disney World Christmas Day Parade will feature fanciful pageantry from Disney's globally renowned theme parks, including Walt Disney World Resort in Florida and Disneyland Resort in California. At the heart of the show, the Walt Disney World Christmas Day Parade takes center stage, with Disney favorites making their way down Main Street, U.S.A. in the Walt Disney World Magic Kingdom. Brian Setzer and his 18-piece band performing his rockin' big band version of "Jingle Bells"
A Christmas Fantasy Parade featuring Goofy, Chip n' Dale, the Seven Dwarfs, Rudolph and reindeer friends, plus Stitch as Santa in fun-filled Yuletide vignettes on Main Street, U.S.A. 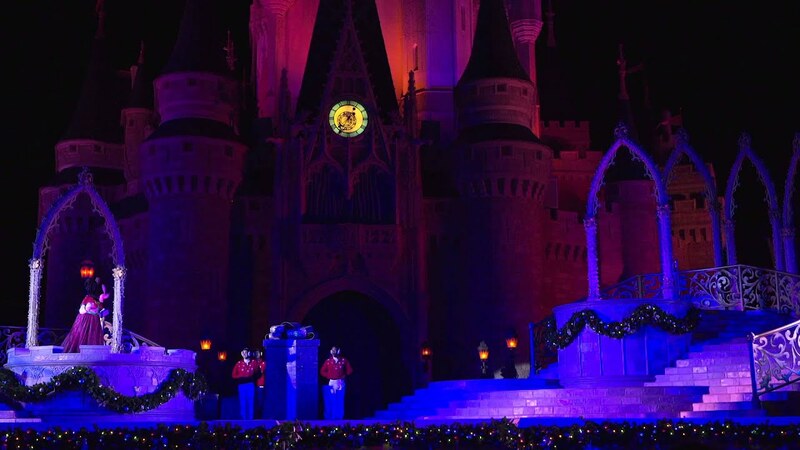 Both Walt Disney World Resort and Disneyland Resort will give a very special Christmas closing with performances of "Joy to the World" and "We Wish You a Merry Christmas." To celebrate Disney's milestone year and for the first time in the parade's history, the show will expand its final number to create an unprecedented moment including all of the parks around the world. 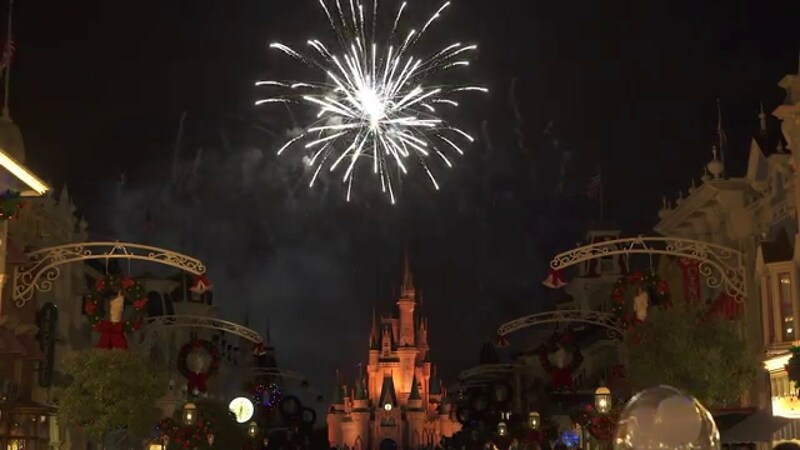 The finale will feature an international choir with Disney theme park cast members from Paris, Tokyo and Hong Kong joining in for Disney's final Christmas wish.